We have a strong management team that offers the depth and breadth of experience, vision and expertise to lead South Africa’s premier facilities management company into the future. 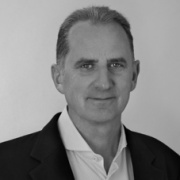 Dr David Leslie joined Bidvest Facilities Management as CEO in January 2016, after holding various management roles in the facilities management, financial services and hospitality industries for close on 30 years.He brings with him years of expertise at successfully nurturing and leading high performance senior management teams and delivering innovative solutions, while driving efficiencies and productivity. 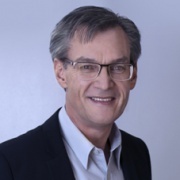 He holds a PhD from the University of Pretoria and an MBA from the internationally renowned Henley Management College.Dr Leslie began his career within the hospitality sector and worked at Southern Sun Hotels and progressed through the ranks into management. In 1986, he joined Sun International where he held various management positions. He joined Eskom in 1995 within their catering and accommodation services department, where he won management awards for exceptional performance and achievements during his 11 year tenure. In 2006, he joined Standard Bank as Director of Operations to open the prestigious Global Leadership Centre. Prior to joining Bidvest Facilities Management, he was the executive responsible for managing the vast Standard Bank commercial facilities portfolio for South Africa.Dr Leslie’s main responsibilities at Bidvest Facilities Management include the conceptualisation and execution of the company’s corporate strategy, with his key focus being on driving growth, profitability and long term sustainability.Dr Leslie is passionate about people and is a proponent of continuous self-development. Respect and integrity are values that he considers to be non-negotiable and his leadership approach attests to this. His hallmark is the consistent pursuit of excellence in client service delivery. Nicky Groeneveld, Bidvest Facilities Management’s Chief Financial Officer has 12 years’ Facilities Management experience. She is a Chartered Accountant and joined the compay as Financial Director in December, 2002, with responsibility for the full financial function of the financial department, with a staff of 70 employees. Prior to Bidvest Facilities Management, she worked in financial management positions in Telkom and Comparex Africa, where she gained significant experience in budgeting, accounting practices, and management reporting, rising to the position of Senior Financial Manager: Business Applications. Aninka Wessels, Bidvest Facilities Management’s Chief of People Managment, has 25 years’ experience in Human Capital and Labour Relations. She obtained a BA Honours in Industrial Psychology from the University of Stellenbosch in 1985. She is an IPM member and is registered with the Human Resources Council. Before joining Bidvest Facilities Management she worked as a Human Capital Manager for Continental China, Omnia and Rebhold. She joined Bidvest Facilities Management in 2006 and was responsible for establishing the Training and Development Academy which included management development programs and the technical training school, a first in the Facilities Management industry. Her current responsibilities involve leading the human capital and transformation function and team. She won the Lifetime Achiever Award in 2016, which is the highest honour and most covetted award of The Future of HR Awards. 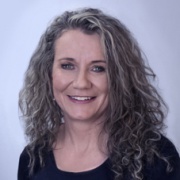 Krisen Naiker joined Bidvest Facilities Management as Chief Commercial Officer in September 2016, after 15 years of experience in procurement, logistics and facilities management across multiple commodities and services. His current role involves the management of procurement, logistics and soft services, supporting the company’s drive to deliver stand-alone or bundled technical services. 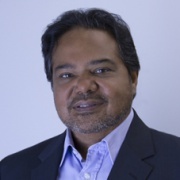 Krisen started his career in logistics with Anglo American in 2001, followed by a period at Intrinsic Technologies, which was acquired by the Business Connexion in 2003, when he was appointed Logistics Head for their Zambian operation until 2006. He then joined NJH Consulting for 3 years and managed the logistics and procurement portfolios servicing the mining sector in Zambia. In 2009, he joined Standard Bank as Manager of Logistics within the procurement division in Johannesburg. He was promoted to Head of Logistics for the group in 2012, and moved to the real estate division as Senior Manager of Logistics Operations in 2013. He holds a Diploma in Logistics Management and is Six Sigma Certified, and is a Member of SIPS. 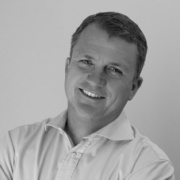 Derek Jack, Bidvest Facilities Management’s Chief Operations Officer: Customised Solutions is an admitted attorney who has worked in the property and facilities management arena for the past 15 years. He obtained a B. Proc from the University of South Africa in 2002. He has worked in managerial roles in the legal, HR, sourcing, supply chain and new business fields. These include positions as Legal Advisor, HR Manager and Regional Sourcing Manager for the Middle East and Africa at Johnson Controls. He joined Bidvest Facilities Management in 2013 and his current responsibilities as COO include overseeing day-to-day operations, developing operations strategies and policies, and ensuring alignment between the operating divisions in order to deliver on the company strategy. Rob Redaelli, Bidvest Facilities Management’s Chief Information Officer has 13 years’ experience in Facilities Management and 20 years’ experience in Information Technology and Systems Implementation. He obtained a BSc in Engineering from the University of the Witwatersrand in 1986 and an MBL from University of South Africa in 2001. Before joining Bidvest Facilities Management, he held various positions in business consulting, IT management and software development across multiple industries. 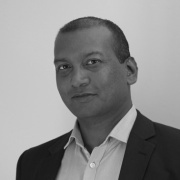 He joined Bidvest Facilities Management in 2001 and his current responsibilities as CIO include IT strategy and technology implementation and management. His goal is to maximise the appropriate use of technology within Bidvest Facilities Management to ensure the company retains its position as a leader in Facilities Management. Cornelius van der Merwe, Bidvest Facilities Management’s Chief Operations Officer has 27 years’ experience in Plant and Facilities Maintenance and 15 years management experience in Production, Plant Development and Facility Maintenance. He obtained a Higher Diploma in Mechanical Engineering from the Vaal University of Technology, and acquired a B. Com in Business Management from the University of South Africa in 1999. Before joining Bidvest Facilities Management, he held various managerial positions within the heavy engineering industry with responsibilities ranging from maintenance, production, engineering and logistics. He joined Bidvest Facilities Management’s Executive Management 11 years ago with responsibilities throughout the Facility Management value chain. He currently serves on the Board and EXCO of Bidvest Facilities Management as Chief Operating Officer of the Telecommunications business. His key responsibilities are to strategically align and successfully operationalise the business to client service, shareholder investment and profitability demands by ensuring optimal selection and management of resources such as people, assets, technology and funding. Debbie Caplin joined Bidvest Facilities Management as Chief Professional and Technical Services Officer in April 2017. Her overall responsibilities include: engineering design, project management services, maintenance engineering solutions, implementation of new contracts and energy management & infrastructure sustainability. 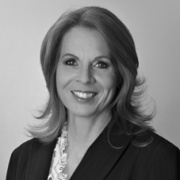 Debbie has extensive experience in FM and property management and has been in the industry since 1997. Her recent positions include National Operations Executive at Broll Property Group from 2015 – 2017, where she managed and optimised a portfolio comprising over 600 properties and 85 operations managers in SA, Zambia and Mozambique. 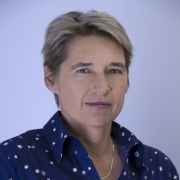 Prior to joining Broll, she worked at Finlay & Associates as their National Property Executive, responsible for the overall performance of a R6 billion property portfolio. Debbie spent 12 years at Old Mutual Property from 2002 to 2013 in various roles, which included Portfolio Facilities Manager, Commercial Development Manager and Regional Technical Manager (Inland). During her time in Development, she was responsible for the redevelopment of property to the value of over R3.5 billion. Debbie has the following qualifications and affiliations which include: Higher National Diploma in Mechanical Engineering (Wits Technikon); Certificate in Risk Management (University of JHB); Management Development Program –passed with distinction (UNISA); Property Development Program (UCT); and currently holds a Fidelity Fund Certificate-Full Status Agent; and previous Director of the Rosebank CID (September 2011 to August 2015).